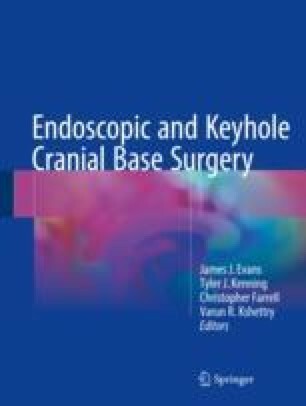 Endoscopic endonasal surgery has revolutionized the field of cranial base surgery; however, these surgical approaches involve complex anatomy and require a unique set of skills which its practitioner must master to optimize their use. There is a steep learning curve with the techniques as the endoscopic endonasal approach (EEA) represents a crossroads between the rhinologic principles of otolaryngology and traditional cranial base surgery familiar to specialized neurosurgeons. As a result, EEA is best practiced as a joint venture between the disciplines. This chapter will focus on many of the principles of endoscopic endonasal surgery and the considerations necessary for its successful application to cranial base pathology.